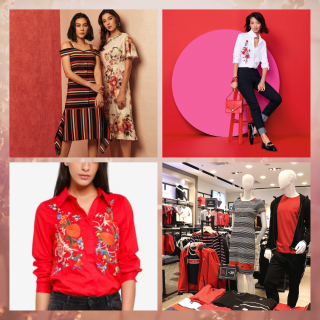 As CNY rolls around, it’s the perfect season to stock up on some new wardrobe pieces! This season, we invited top fashion influencers Jane Chuck, Brian See, Kittie Yiyi, Juwei Teoh, Lucas Lau and Lee Ming to share some tips on how you can dress to impress! From outfits for your reunion dinner to house visitations and everything in between, they’ve got you covered. For that classic sports lifestyle ensemble, Brian threw on an Adidas Original Trefoil Hoodie in Beige from JD Sports and matched it with navy outerwear from Hi Style and Adidas 3-stripes Essential Track Pants in dark grey. He added on a maroon drawstring bag from Adidas for a pop of colour.